The following feature articles published in 2013 were the most popular with visitors to the Reinforced Plastics website during the year. 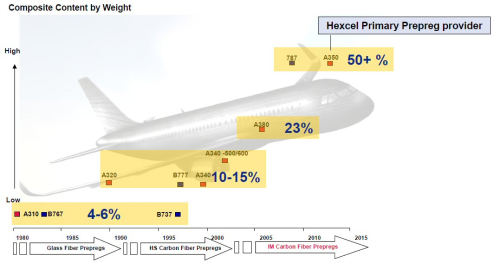 The A350 XWB, the first Airbus aircraft to be over 50 wt% composite, made its first flight in June. Hexcel estimates that over $4 million worth of its materials will be on board each plane. This article discusses the issues surrounding the recycling of glass fibre reinforced plastics (GRP) and reviews some of the options available today. Reinforced Plastics’ preview of the trade show looked at some of the innovations on display. How thermoplastic composites are offering a potential solution to the challenges of reaching deep water oil and gas reserves. Reinforced Plastics visited Lamborghini’s headquarters in Sant’Agata Bolognese, Italy, to learn about its expertise in carbon fibre composites.